Therm O web has several new products perfect for mixed media including the new iCraft Mixed Media Sheets (in Lightweight and Heavy) and the Mixed Media Adhesive. They are great for canvases and other mixed media projects, but I put them to work on cards! I made a fun shaker card and then spruced it up with a gold foiled pleated trim. The Mixed Media sheets are great because they can be torn, cut, sewn on and so much more! 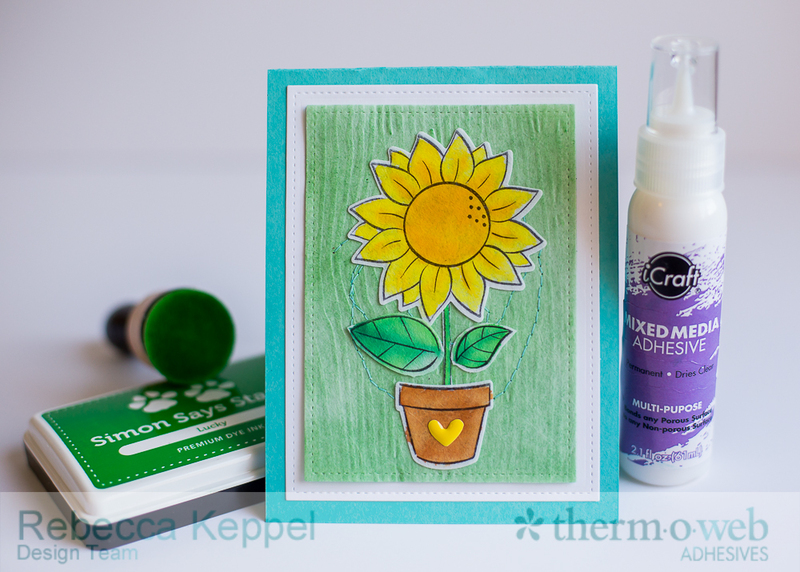 For this card, I stamped and die cut, watercolored, inked and embossed on the Mixed Media Sheets! They add some nice texture and homemade feel to cards, layouts and other papercrafting projects! Check out this video where I go through all the steps to create both of those cards!